The segment which is devoid of Maruti/Suzuki is the compact SUV segment in India. Maruti has an answer for it now as we came across clear pictures of the compact SUV getting readied at its factory near Delhi. 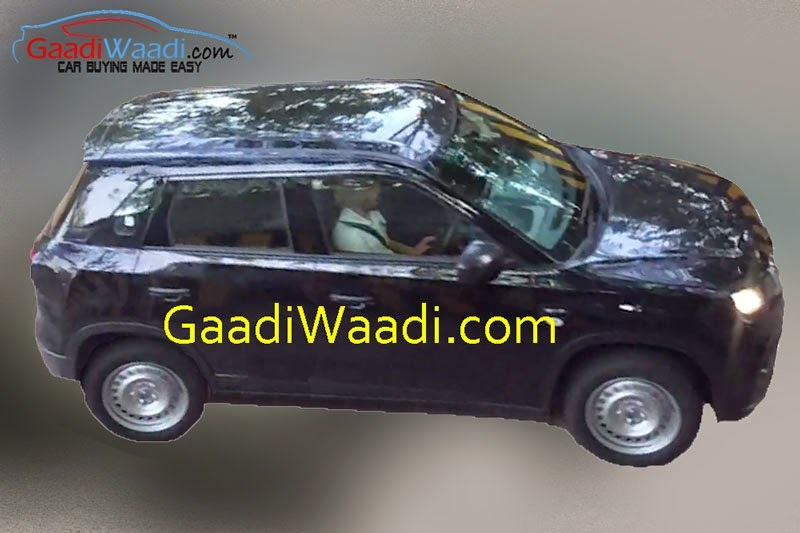 Thank to GaadiWaadi for getting the first ever clear pictures of the highly anticipated mini SUV from Maruti. 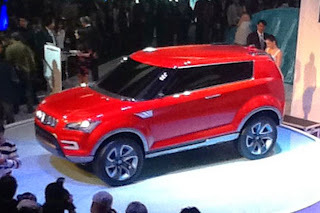 In 2012 Delhi Auto Show, Maruti had showed a mini SUV concept codenamed Alpha XA which was quiet onlooker and ignited the minds of young buyers, thanks to its muscular look and elegant features. It’s been long time since then and the company has held back its decision to launch the vehicle, probably it has different plans (as always), to bring in a product which be the Uno in the segment. 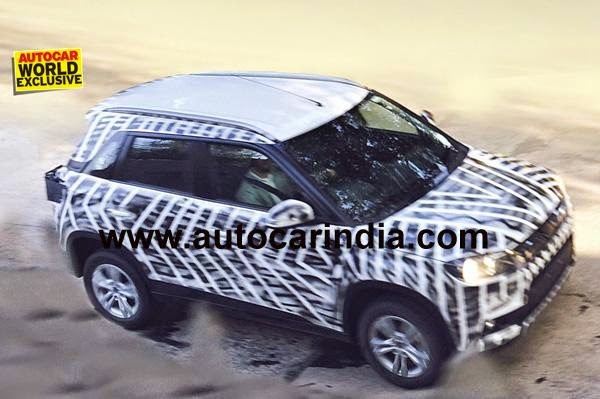 Now that we have seen the pictures of mini SUV in India, it is expected to be launched soon, probably in the early August or September 2015. 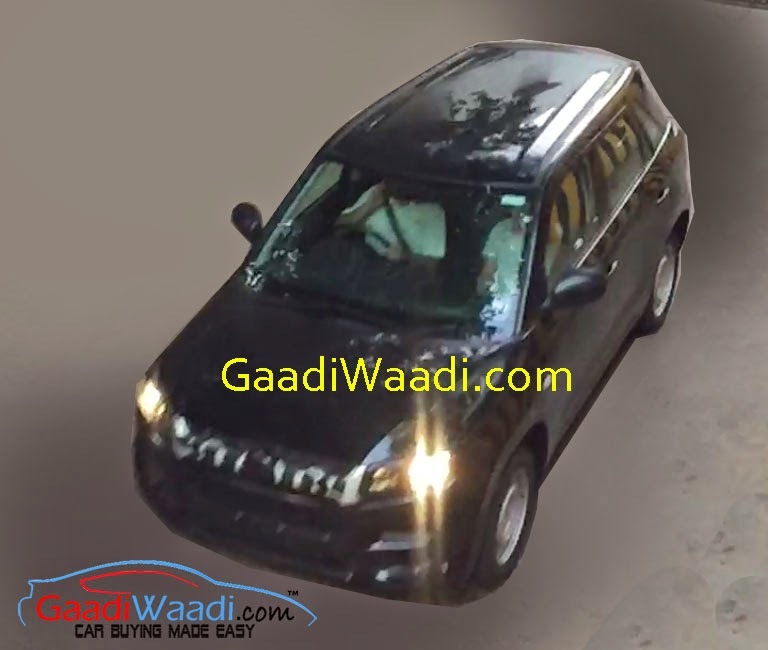 Some days ago also there were spy pictures of Maruti’s mini SUV with full camouflage and we could hardly make out any design element of the car. With the clear picture it is evident that the mini SUV is built on Swift platform and shares lots of design cures from the Swift. In fact, from the side profile it is surely to be confused to a Swift – body panels, ORVM & roofline all resembling to it. However the front end is entirely different with rectangular headlamps and teethed grill giving the mini SUV the macho look it deserves. Speculations are going around that the Maruti’s mini SUV will be called Vitara Breeza, but there is officially no communication from the company as of now. Also seen from the picture is absence of spare wheel on the tail gate and the length would perfectly fit into less than 4 meters mark. Regarding the powertrain, Maruti might fit in Ertiga’s 1.4L petrol and the diesel one could be all new 1.5L Suzuki diesel which was under development for a while. 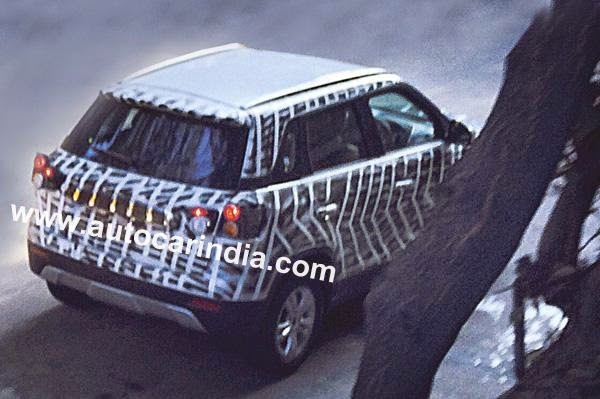 That is why we guess, Maruti delayed the mini SUV launch, well its is just our guess. An in-house diesel engine will definitely cut costs and Maruti can price the mini SUV competitively in this price sensitive market of India. Regarding rivalling Ford Ecosport, the Maruti’s mini SUV lacks the dynamic looks, and also the dimensions of it could be far less than that of Ecosport. The only place where Maruti mini SUV could get ahead is in fuel efficiency and after sales service. Lets wait and watch to see how things are going to change for Ford Ecosport, or will it not?? ?